When I review lenses I take a look at who they are built for. I realize not every DPS reader wants to lug around a 5lb lens worth a couple month’s rent. While I love my main lens, it’s not for everyone and I’d be a fool to tell you you should buy it if you just want a portrait lens. With that mentality in mind, I took a look at the Tamron 18-270mm after they sent me a review copy. Was it going to become my new pro lens of choice? No, and that’s not who it is built for. Who it is built for, in my opinion, is anyone who loves to travel but doesn’t want to carry a quiver full of lenses for most occasions (read: heavy bag). Any zoom lens is a compromise as compared to a prime, or fixed focal length, lens and the limits of optics are a fierce field in the photography industry. An industry that didn’t see a competent 18-200mm lens until a couple of decades ago, is now seeing the limits pushed further with this 15X zoom entry. To test this lens, I took it with me on a couple of trips. First was a six week combination photo tour and personal trip to Nepal, Bhutan and India. Next followed three weeks in Peru. If this isn’t travel testing a lens, I don’t know what is. If you are looking for benchmark laboratory results, I suggest you check out DXO Mark. They have great stats for the tech-minded folks who want clean-room results. I tested this lens in dirty, hot, high altitude and often wet conditions and I am not an optic specialist. Just someone who relies on optics to make a living. Let me state for the record that the Tamron 18-270mm is not perfect. It’s a zoom lens after all, and as I mentioned, all zoom lenses compromise. This lens is meant to cover a very wide range and is built for DX or APS-C sensor cameras (or crop-sensor camera…or a number of other terms, just not full sensor frame cameras). I include many test shots below and each links to a full sized copy you may download and pixel peep if that helps you. I performed very little editing on each image, just the basics from knowing how my camera presents images, so you can get an idea of what’s possible. I also included some less than stellar shots to show the lens’ limits. Tamron claims the VC is good for up to four stops of vibration reduction and it’s my guess that is in a test lab with certain acceptable parameters. In real life, I found the VC helped by about the standard stop to two stops. I pushed the lens in a couple of case to four stops and it simply did not perform in creating sharp images, such as knowing I had a good shot at 1/100 and 50mm without VC and then taking the shutter speed down to 1/6 to see what would happen. Hand holding at 1/6 is tough by any standards and I was calm and steady as I could be, but the results were not satisfactory. However, when I dropped to 1/25th (being one stop under the rule-of-thumb 1/focal length slowest speed) the results were in line with other lens’ ability to reduce vibration blur. So in that regard, while my test didn’t show four stops of VC, I think it may be in the wording on Tamron’s part how they define the starting point. In my book, this lens performed as well as others for its ability to reduce lens shake with VC on. It is a useful feature. In the field the lens returned above average results for the price range and zoom ability. It’s hard to find a comparable lens to test it against. So I used the standard criteria of, “Would I suggest this lens to a friend?” In that regard, yes, yes I would suggest it to a friend who is thinking of traveling and isn’t looking to sell 24”x36” prints to art galleries. I liked the image quality even though it was not stellar because not everyone is looking for professional level results. If they did, we’d all have $3000 lenses and $8000 bodies. Take a look at the images below and tell me what you think. As this lens pushes 15x zoom, there is some noticeable distortion, especially at the edges (as expected), but it is well within the acceptable range for me. This distortion is least noticeable in the middle range of the zoom. This lens fits a niche. That niche is people who love to travel or who want only one lens for taking shots of their kids, be they near or far. The aperture is about standard for other lenses close to this range (I’d love to see the top end brought down to f/5.6 instead of f/6.3). The focus isn’t lightning fast as high-end L lenses but it is solid, accurate and the casual tourist will enjoy it. It makes micro adjustments easily once it is locked on and subjects move. I didn’t find it to hunt during any of my tests except for in the lowest of lighting conditions when every lens hunts. The bottom line for me with a lens like this; would I suggest it to my parents if they were, “…going on a trip and we don’t want to mess around with a bunch of different lenses. We just want something that works well for scenic shots but also can zoom in for details”? Yes, I would. The lens is well suited for the vacationing family who doesn’t want to take up room or weight with a professional lens but still wants versatility in their equipment. Just don’t expect the VC to help you by four stops, stick with the 1/focal length rule and you’ll do fine. Below are a number of examples taken while on the road. Clicking an image will bring up a full size image which may be a large file. Actually, it WILL be a large file. Don’t forget to check out DXO Mark for more laboratory data. All images shot with a Canon 7D and are handheld unless noted. It's called "zoom creep." Easy solution. Get a baller band (those rubber bands basketball players nowadays wear around their wrists) or some other form of thick rubber band and wrap it around the lens in the area between the zoom ring and lens proper. Unfortunately, this remedy makes it slightly more difficult to zoom back and forth due to the added resistance. Still a more preferable option than changing lenses while trying to keep up with a 4 year old while on vacation. But that's just me. I recently purchased that same lens for the same reason: having one lens for most situations without having to change lenses in the middle of the road. When placing the camera facing down, the zoom rings come out by themselves, and when placing the camera facing up, the zoom rings stay down and it is too hard to move the zoom focus ring to the prefered focal distance. The lock button only works on 18mm possition and I only use it for when I store the camera in the bag or when carrying it around without a case, basically to protect the lens. I spent a good month reserching about lenses and reading reviews before buying this one, and I am really surprised that this "non featured" behavioir is never mentioned. Has anyone else noticed that on this lens? I use this lens whenever I travel with my Canon 60D. I only started using my Tamron with my new Canon 7D. I've only had 7D for a few days , and now I have the answers to all my questions just looking at photos. "Yes I can use my 18-270mm Tamron lens"
So... postscript from my earlier comment. I tried out this lens during the holiday break and took it on a trip to NY to give it a full tryout. Mixed results. Yes--not having to change lenses (especially during the New Years Eve crush) was very convenient, as expected. Yes, zoom range was awesome. But I came back with more than average (for me) unfocused shots. I think on a tripod, or where you have lots of time to futz around with focus, it can deliver decent results as Peter's shots above certainly show. Further, the feel of the zoom (sticky not smooth) and the lens creep drove me a bit nuts. Still I wasn't sure, so once home, I took it out on a lens test and compared the focal ranges to all my other lenses. Bottom line--the quality was inferior in every test at every focal length--short, medium, and long, to other lenses I had. I returned it this week, and will continue to take a couple of my tried and true lenses on my next trip and swap out as necessary... just like I have done for years. For me, the "one lens fits all" just didn't make the grade. Enjoyed the review and assessment by a pro with experience with different lenses. I upgraded from a compact Canon to a Canon 60D with this Tamron 18-270mm in a kit. I spent several months researching lenses and cameras before settling on this combination. I got this combination specifically for traveling. Even if I was able to spend the money for full size zoom lens plus two or three other lens, my wife would not wait for me to change lens between shots. Got to keep moving. Having a camera and lens that fit into a top loading case worked well on my fall trip in the New England area. While not a small as my compact Canon it was still fairly easy to get on and off tour buses and not carry a heavy back pack all day. I took in excess of 3000 photos on that trip and was very pleased with the results. In short I was very pleased with this lens and consider it idea for a traveling amateur. Especially for one upgrading from a compact camera. I have had the older version for several years. I agree it's a great walk around lens because of it's range. However, my impression is that the autofocus isn't always accurate. I find myself using this lens in manual focus mode more and more. It does do a good job in macro situations. I have been using this lens on my 550D since Aug-2011 and agree with all points Peter has made here. Just one complaint i have against the lens (not really a fault, just a design compromise) is the loss in focal length @ the tele end when focussed close. Scroll down to the "Zoom Range" section on http://photo.net/equipment/tamron/18-270vc/review/ to see what i mean. I am just starting out in bird photography, so the "real" reach matters a lot to me. Walt, You can still find new or used Tamron/Pentax 18-250 lenses fairly common. Decent lens too. 1. Autofocus hunted a lot, sometimes took 5 or so seconds (or more) to lock in on a subject; even with many colors and excellent contrasts..
2. I would've been happy if I could achieve the pictures posted in this blog (for personal travel). I could not get the lens (no matter what shutter speed and F-stop) to be that good. Even indoors at shorter ranges. Forget extending out to the 270 range. 3. For some reason the metering on my camera was way off with this lens. I found my pictures either under/over exposed as compared to what my camera was telling me. I had to keep chimping. Definitely not worth taking 5 to 10 shots to get one usable one. So I decided for a little less money to get a Sigma 17-70mm 2.8 Macro. No I do not get the range, but the Sigma lens is fast, very shop (as long as you do not shoot wide open at 17mm). When I run across an affordable lens in the 18-300 range that takes good pictures I will let you know; but for now it looks like I carry 2 lenses with me. @henk: I have the similar 18-250 OS by Sigma, and I was able to take some very nice macro shots of bees and butterflies. It's certainly not as good as an actual low-aperture deticated macro lens, but it'll sub well for one. Both the Tamron (which I tried too, but didn't like the AF and zoom ring) and Sigma superzooms are really all-in-one lenses - average at everything, but great if you don't want to switch all the time. I actually purchased this lens to try it out just prior to a New Year's trip to NY and am not convinced I'll keep it. I bought it exactly for the purpose Peter mentions: to have one lens to carry with my family while we are traveling. My results were mixed; missing autofocus quite a bit and it definetely does not have a good feel while zooming and the IS/VC is more than annoying, noisewise. I have about a week to decide on whether to return it and am on the fence, as on the positive side, not stopping to swap lenses was a nice feature while "on the go." My question to Peter: you would recommend this to a friend or your parents, but would you keep it yourself, even for the convenience factor? My fiance bought this lens for me at christmas. Although you will never see a pro using this on a wedding, I find it perfect for what i need it for, and that is travel, and roaming the city. Why is there so much noise even at ISO 100? This is actually my kit lens. I have bought it as my first lens with my D7000. I am happy with it all the time. If it came in a Pentax mount, I'd probably be interested as I'd like to add a decent yet not-too-expensive lens in this category. Any suggestions? Those pictures looked fine to me, This is just the kind of lens I can use when out with the kids. 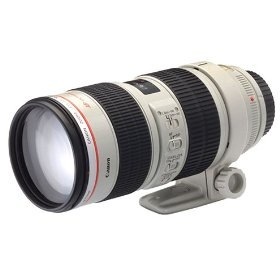 Currently have a Sigma 18-200mm but have been looking at this one for a little more range. Thanks for a great article! Keep up the good work! I've used several Tamrons with the largest zoom range available at the time since film days and, whilst I agree they are not perfect (no lens is), they are great for getting the shot when travelling. I find the quality more than ok for my purposes. I love this lens for nature and 'walking around' shooting. You're right, it's not the sharpest lens but the convenience and cost make up for that. I use a lot of my shots to feed my digital art habit so tack sharp isn't critical for me. I find the VC quite good and get about 3 stops out of it if I can lean on something. @John: I don't know how noisy the non-PZD version was, but I can tell you that it still makes the noise when half pressing the shutter and it is related to the VC since turning it off fixes it. At first I thiught it was broken but by now I'm used to it and I don't notice it unless I'm in a very very quiet place. I tried out the older version of this lens (non-PZD) and it made a terrible clunky noise when engaging or disengaging the vibration reduction. To listen to that on every half press on the shutter was very annoying to say the least. Have they now improved so that it's more quiet? Oh well you saw Mount Everest! Envy. I have the previous model of this lens and then I bought this new one. I found out that the autofocus didn't work properly with Canon 60D default multiple focus points on the w/a end. Tamron focused too close. My camera store in Finland tested this with several Canon bodies and with different Tamron lens individuals. They verified this fault. Camera dealer asked about this behaviour from Finland's Tamron distibuter who then asked about this directly from Tamron. They promised an answer. I waited for few weeks but I never got a reply although the distibuter promised to contact me. Finally my camera store refunded me and I acquired Canon EF-S 18-200 instead, which works very well. Your pictures give a nice idea of the possibilities of this lens. What I'd like to know: how useable is it as a macro lens, it comes to .49 cm I read, but is this the same when completely zoomed in? That could make a Macro lens redundant while travelling.